The 25th Northwest Shootout, the annual all-star basketball doubleheader that pits the top players from Washington against Oregon, is Saturday. The girls game is 4 p.m. at Liberty High School in Hillsboro, Ore. The boys game follows at 6 p.m. The Washington boys team features a loaded lineup as it tries to halt a dominant run by Oregon, which has won five of the last six, in recent years. 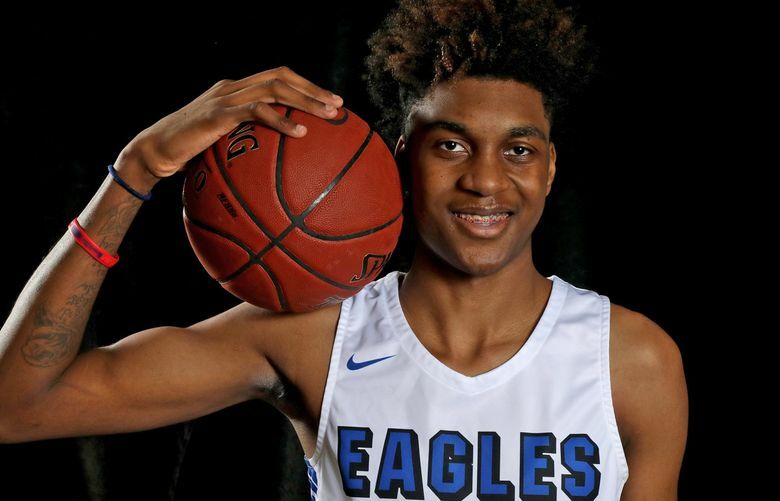 Leading the way is McDonald’s All-American Jaden McDaniels of Federal Way, consensus state player of the year Anton Watson of Gonzaga Prep (committed to Gonzaga) and the state’s career scoring leader Brock Ravet of Kittitas (also committed to Gonzaga). Also on the roster is Marysville-Pilchuck’s RaeQuan Battle (Washington), Zack Paulsen of Curtis (Seattle Pacific), Cole Bajema of Lynden Christian (Michigan), Shaw Anderson of Kelso (Seattle Pacific), Micah Pollard of Foss, Hunter Campau of Timberline (Central Washington) and Clayton Whitman of Lynden (Seattle Pacific). The Oregon team: Marcus Tsohonis of Jefferson (Washington), Jaden Skinner of South Salem, Chase McClain of Mt. View, Aaron Deloney of Grant (Vermont), Josh Angle of Lake Oswego, Justin Bieker of Jesuit, Brian Warriner of Bend, Riley Nichol of Stayton, Kaleb Anundi of Stayton, Stevie Schlaback of Tigard. Former Linfield coach Larry Doty will coach. The Washington girls have won this matchup nine times in the last 11 years. Leading the girls team is a talented squad featuring Kentridge’s JaQuaya Miller (Washington), Gig Harbor’s Brynna Maxwell (Utah), Kamiakin’s Oumou Toure (Butler), Lewis and Clark’s Jacinta Buckley (UNLV), Prairie’s Brooke Walling (Fresno State) and Sunnyside’s Ashlee Maldonado (Santa Clara). Also playing for Washington: Aspyn Adams of Mount Spokane, Eastlake’s Mae Bryant, Central Valley’s Mady Simmelink, Lynden Christian’s Isabela Hernandez. For the Oregon girls: Aspen Slifka, Banks; Kalani Hayes, Clackamas; Daryn Hickok, Grant (Weber State); Alyson Miura, La Salle; Nicole Fennaugh, Westview; Ciera Ellington, Benson; Tayler Lyday, Benson (Weber State); Campbell Gray, Tigard (UC Davis); Ula Chamberlin, South Medford; Kami Walk, Sheldon.